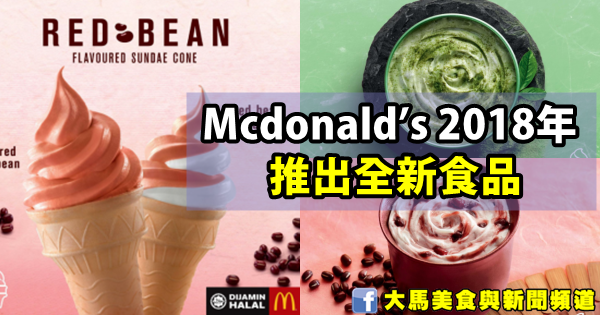 Usher in the New Year with the NEW Red Bean McFlurry™. It’s the perfect balance of tradition, taste, and texture. Bringing you back a taste of Japan in a deliciously, cool dessert. Enjoy the smooth taste of aromatic green tea swirled into our signature Green Tea McFlurry™. A local favourite made into a smooth, luscious dessert. Enjoy a Red Bean flavoured Sundae Cone or red bean mixed with vanilla flavoured swirl! Either way, it’s a taste that everyone loves! The Red Bean Pie combines a golden, crispy crust with a taste that’s been loved throughout time. Treat you and your family to one today! Let’s celebrate the New Years with the return of a familiar taste, The Prosperity Burger™. Juicy beef or chicken patty, with signature black pepper sauce, topped with fresh onions, all in warm sesame seed bun. Served with Prosperity McFizz™ and Twister Fries, it’s a combination that no one can resist!